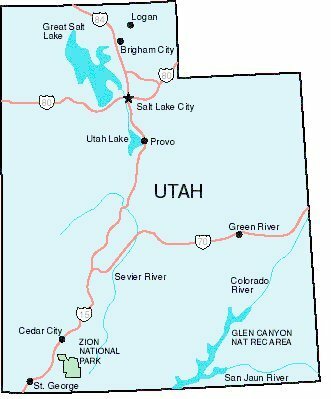 Utah does not have any casinos or racetracks. The closest casinos to Salt Lake City are a 1 hour 50 minute drive to West Wendover, Nevada which is 121 miles west on Interstate 80. The four casinos in West Wendover are shown in the chart. The casino pages have pictures, gaming details for slots, baccarat, blackjack, poker, craps, roulette and other table games.